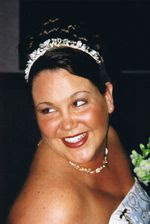 I just dedicated a page to my late spouse Rachel Beasley-Possert at LIVESTRONG Action. Right now, Lance Armstrong is dedicating his ride in the Tour de France to the fight against cancer. And after the race, he'll send this dedication book with your signature to world leaders and pressure them to make cancer a priority in their own countries. It's our best chance to push for better treatment, more funding for cancer research and access to care for everyone around the world. You all have been amazing. Keep up the fantastic support and know my love and prayers are with all of you no matter where you are or what you are doing! God Bless!!! !